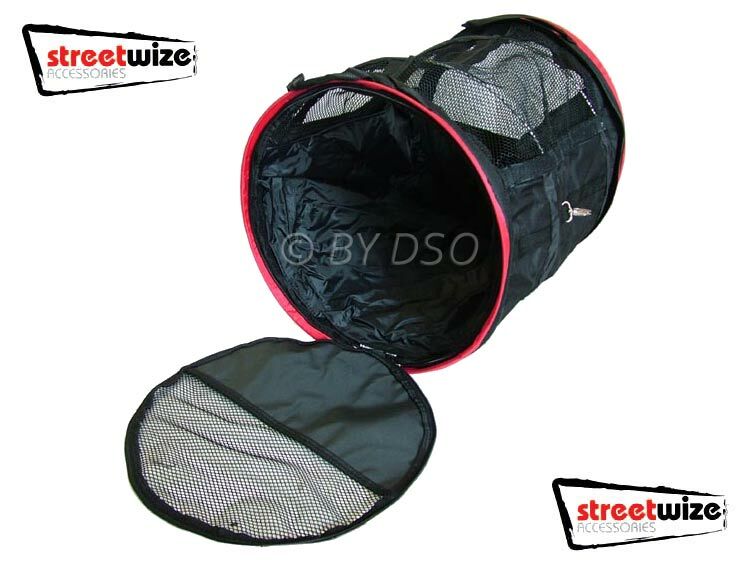 This very versatile pet kennel is great for use in the car, van and other vehicles, for use outdoors such as show-dog run tunnels by joining many of the kennels up together. Made from 600 denier Heavy duty polyester material with internal spring loops to provide stability to the capsule. Front and rear zipped doors, removable waterproof removable inner liner and mesh netting for ventilation and sun protection. Packs flat with a zipped case and carry handle for ease of transportation.